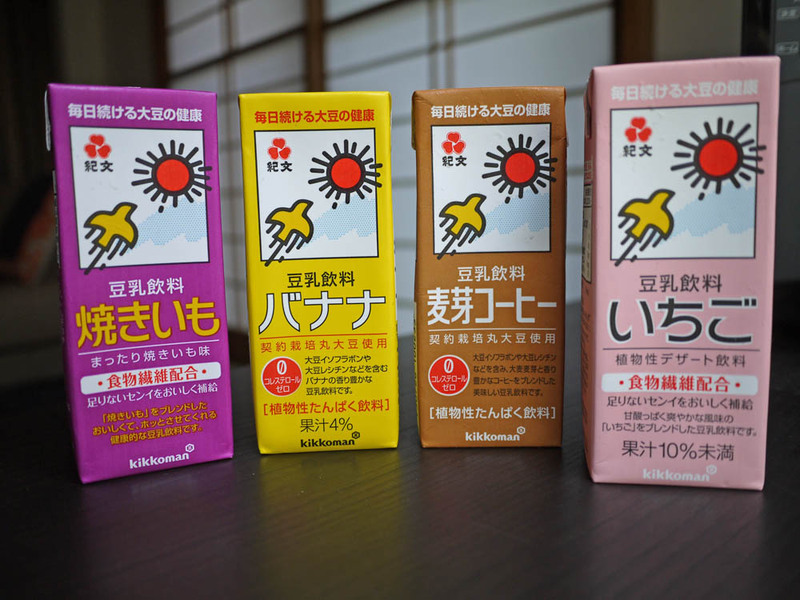 I regularly buy flavored soy milk in little sippy cartons. It recently occurred to me that this might seem like a weird thing to someone outside of Japan. These little boxes of protein and sugar are probably meant for children, but I can only really understand six-year olds so by the transitive property it works. In Japan flavors change with the seasons, and autumn reigns supreme. I arrived back in Tokyo to flavors of sweet potato, pumpkin (actually, kabocha), hazelnut and persimmon. So when I saw the grilled sweet potato flavored soy milk, of course I bought it. From left to right that’s yaki-imo (grilled sweet potato), banana, coffee malt, and strawberry. Other common flavors include black tea, matcha, vanilla ice cream, grapefruit, delicious plain, and fruity mix. My favorites are the less expected flavors, black sesame and kinako (roasted soybean powder). Perhaps these flavors sound strange, but in Japan they are commonly associated with sweets. So really, I’m just drinking candy. 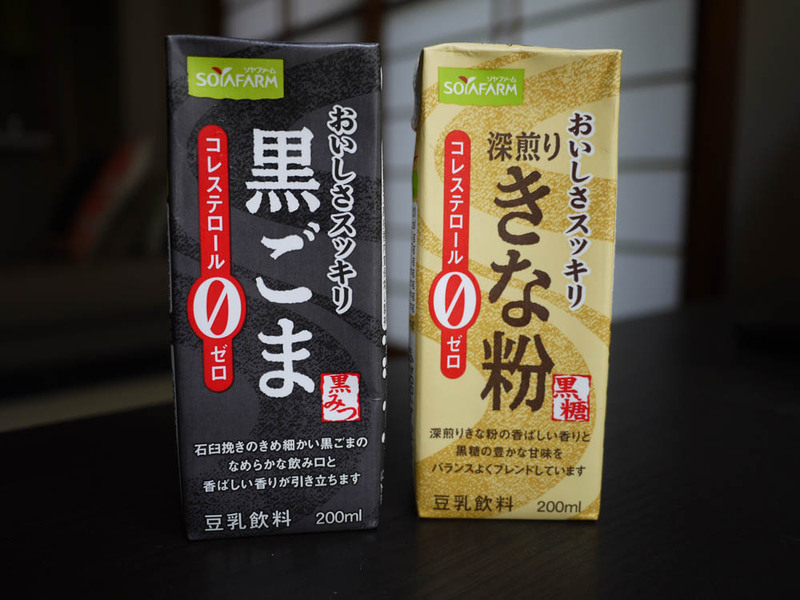 This entry was posted in Food and tagged black sesame, candy, food, kinako, soy milk, yaki imo. Bookmark the permalink. You can get little sippy containers of soy drinks here, too. I get them whenever I can, in 6-packs, because they’re great to drink in the morning when I might not have time for a full breakfast. We’ve just got plain flavours, though. Vanilla, strawberry, and chocolate. Leave it to Japan to have tastier flavours! I really like strawberry, but the hazelnut one sounds delicious too.